To build a car that burns gas like diesel, you have to unlearn what you think you know. 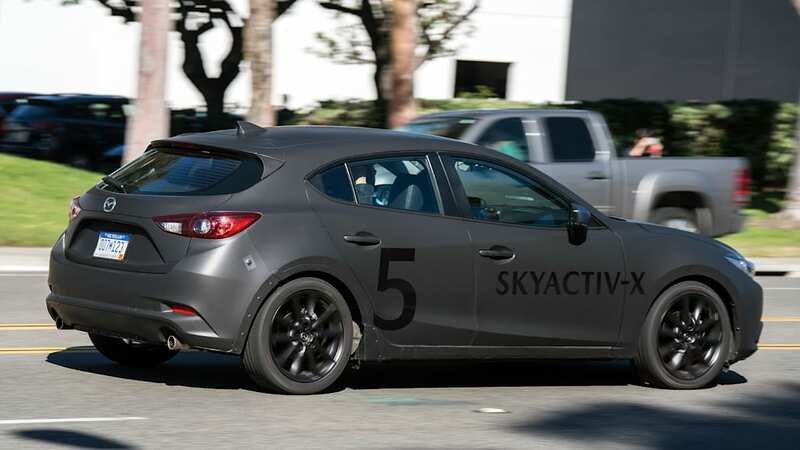 The matte black Skyactiv-X prototype looks like a rough Mazda3, perhaps reconstructed after a bad wreck by an over-enthusiastic owner of a spot welder and lots of gaffers' tape. Ribbed ducts poke out of the dash sending two breaths of conditioned air to no one in particular. Even its revolutionary engine, the thing we're here to experience, is entombed in a massive, nondescript cover to mask its unseemly noises. It's a wild, strange way to meet a very unconventional vehicle that promises diesel-like fuel economy, a wide torque band, and an exotic method for burning less gas than ever before. It takes a few hours for Mazda's engineers to explain the fundamental principles of operation. 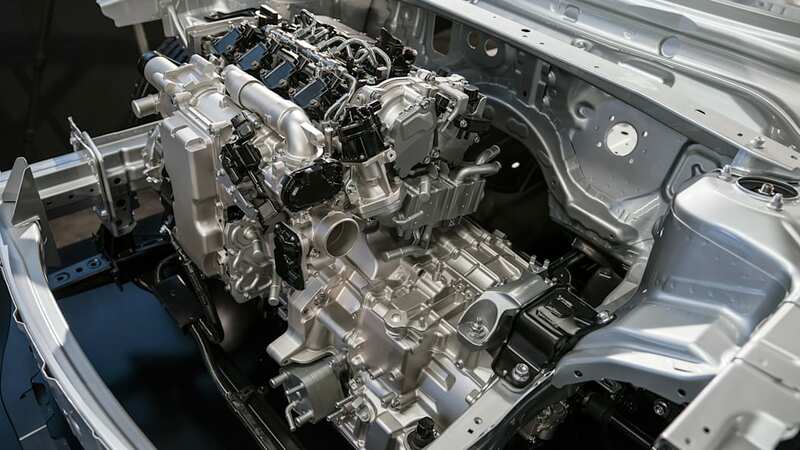 For more detail, read our Skyactiv-X Spark Controlled Compression Ignition explainer, but here's a very brief overview. That takes a few essential components to get just right. One is a massive amount of computer processing power and some pressure sensors in the individual cylinders, because the ambient conditions change how and when these things happen. 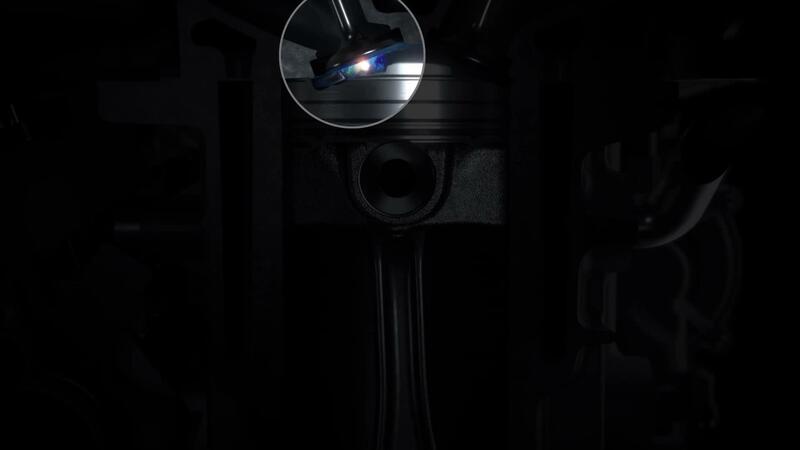 Skyactiv-X uses a clutched supercharger to pump in additional air when needed to nail the mixture precisely, and high-pressure injectors to get the low ratios of fuel to disperse properly in the chamber. 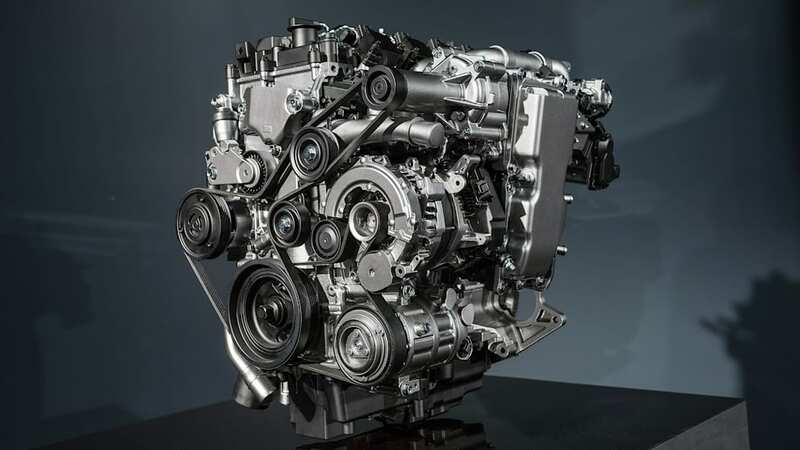 And since it operates like a conventional gasoline engine sometimes, it uses valve timing to lower the very high compression ratio so it doesn't reach combustion ignition in that mode. 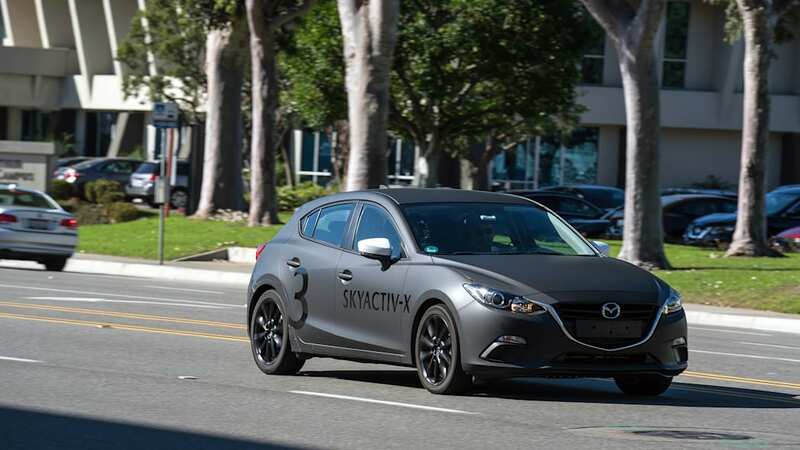 In practice, the Skyactiv-X runs in compression ignition mode most of the time. In practical terms, that means it drives like a torquey gasoline Skyactiv engine. 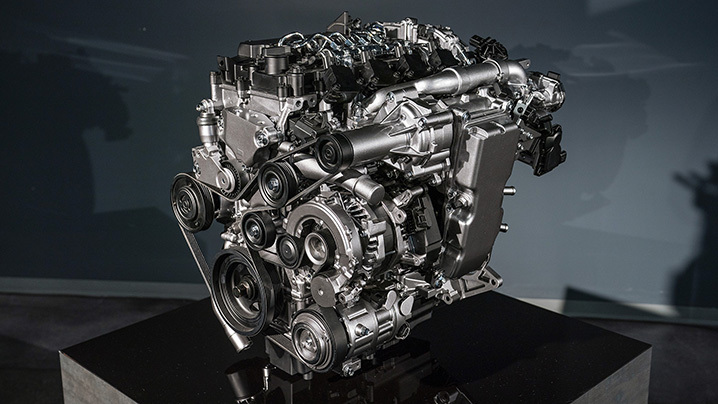 The torque curve is broad and flat — diesel-like in that respect. That also means it can get away with using a six-speed transmission and a lower final drive for better response. 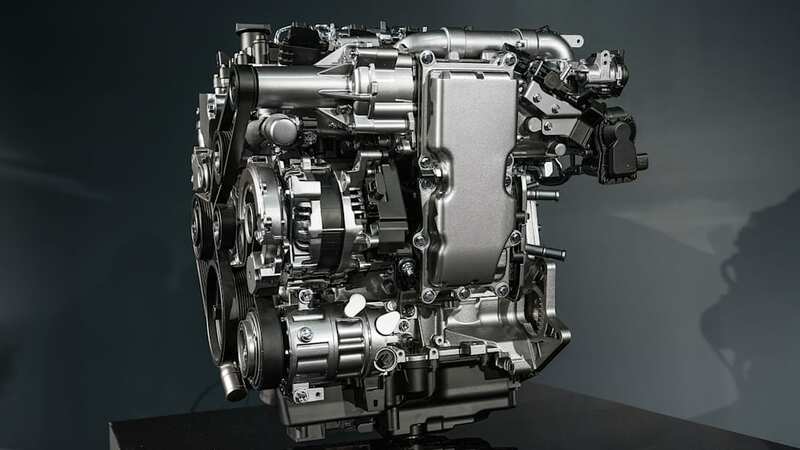 There's enough grunt and economy together that Mazda can let the engine spin faster — at 60 mph, it's running at roughly 1,000 more RPM than a similar gas engine, with greater efficiency. Skyactiv-X is complex, and Mazda Vice President of R&D and Design Masashi Otsuka admits it will be an expensive engine to build. "But," he said to us before we drove the cars, with a big lopsided smile, "it's less expensive than a hybrid." 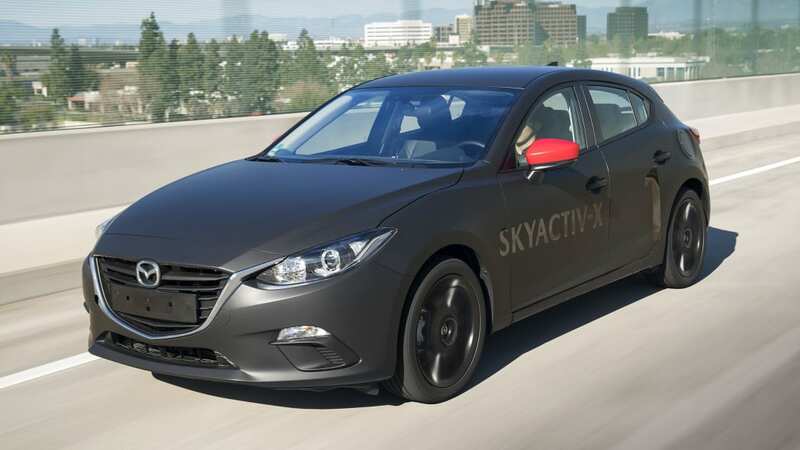 That speaks to Mazda's philosophy in building the Skyactiv engine range in general. 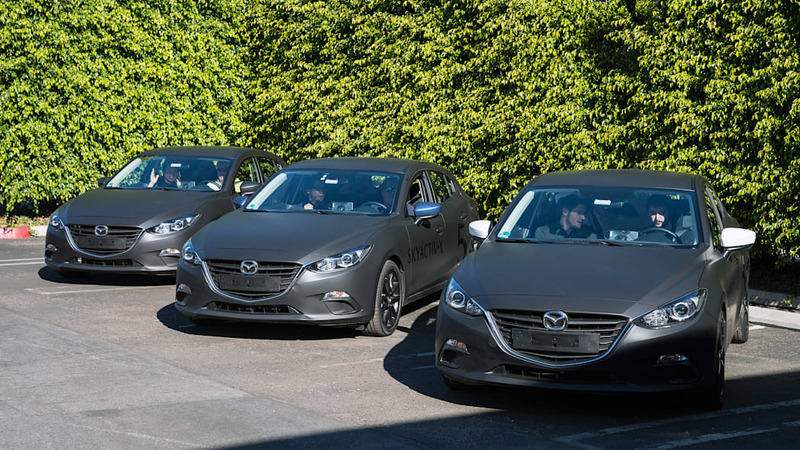 Mazda has avoided electrification almost entirely; what electrification it employs is either very minimal (i-eLoop regenerative braking and capacitor system) or niche (Demio EV, with its rotary range extender option). 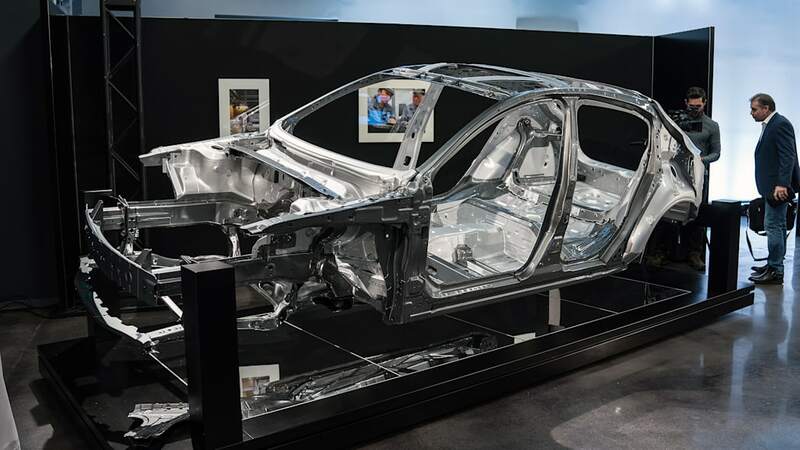 Rather than build a bunch of hybrids and EVs that are dependent on incentives to sell (and still don't sell that well — Mazda does have a point here), the company decided long ago to just improve the internal combustion engine as much as possible. That means it has the highest average EPA fuel economy of any manufacturer — although its overall volume is small, its sales have suffered recently, and it doesn't sell any large and inefficient SUVs or trucks. Mazda's strategy is technically sound, but perhaps not as effective in the real world as it might hope. Then again, as the company is eager to point out, neither is the real-world economy of the downsized, turbocharged engine trend. They're great at EPA testing but miserably thirsty in the real world. 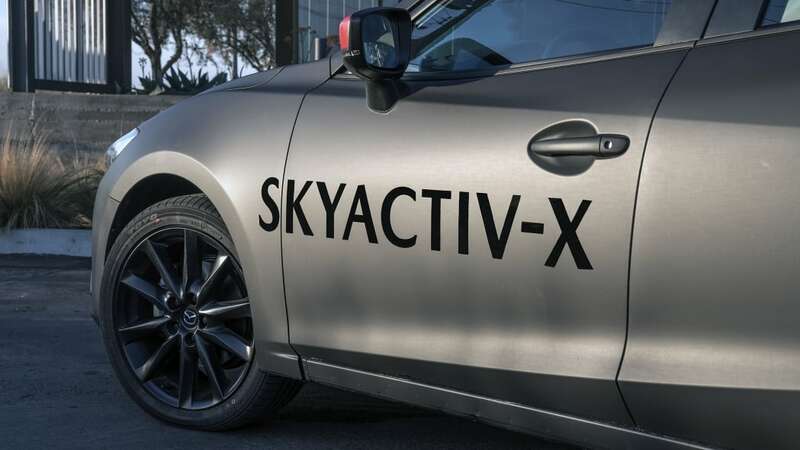 Skyactiv-X isn't the final result of this process; there will be more electrification as that becomes necessary and/or demanded by the marketplace. 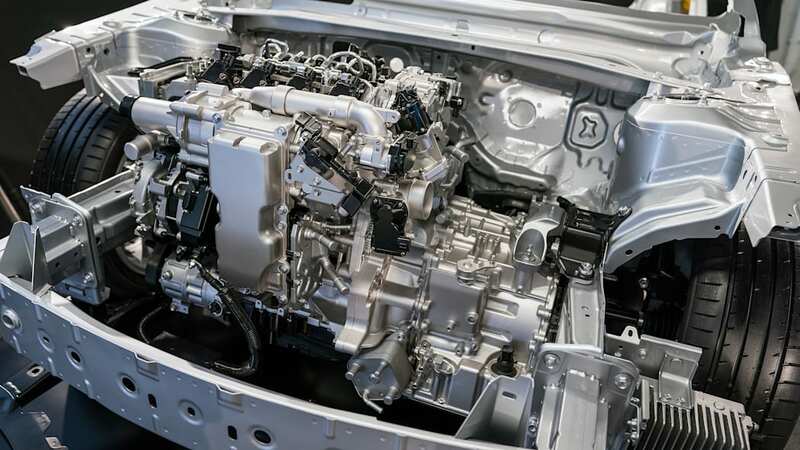 There's a next-generation pure diesel engine coming, after the long-delayed Skyactiv-D engine, using lessons and perhaps technologies developed for Skyactiv-X. But for now, Skyactiv-X is the absolute bleeding edge. Which is not how it feels on the road in the least. It's not supposed to feel bleeding edge, to be fair. There are rough edges, too. But mostly, it feels like a direct-injected, high-compression gasoline-powered car. It does not feel supercharged in the traditional sense, either. Off the line, it's definitely perkier than the anemic 2.0-liter Skyactiv-G engine, and on par with the 2.5-liter nonturbo Skyactiv-G on paper, although the -X's torque curve is fatter. The torque wave continues as revs increase, authoritative but not necessarily sporty. If you want to talk numbers, they're understandably fuzzy. 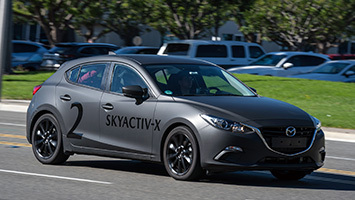 The Skyactiv-X tune isn't final yet, so horsepower and torque figures are a moving target. In Frankfurt, Mazda said the prototype engine was making about 187 horsepower and 143 pound-feet of torque. 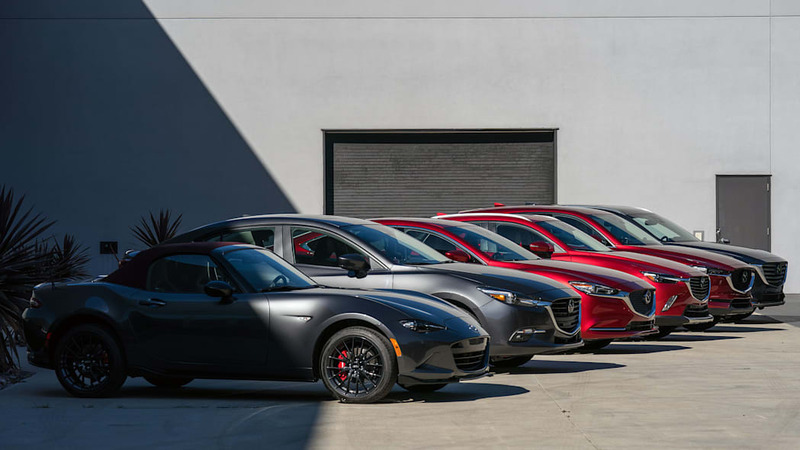 At Mazda HQ in California, the numbers bandied about are closer to 190 horsepower and 180 lb-ft of torque. 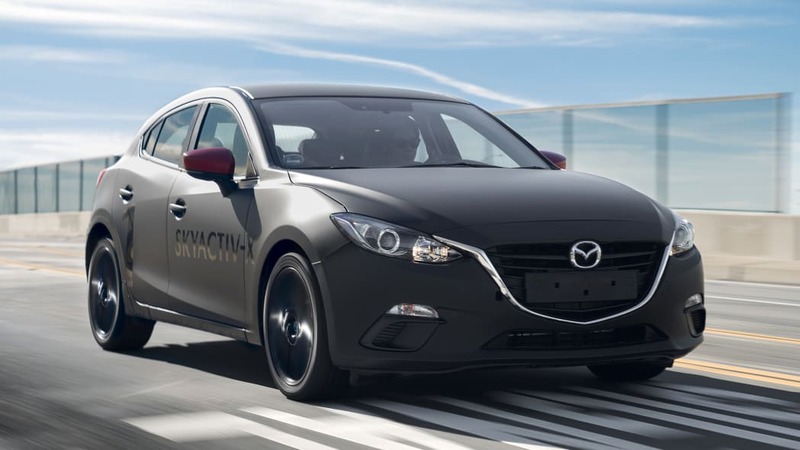 That compares favorably with the 2.5-liter Skyactiv-G, which makes 184 hp and 185 lb-ft of torque in the Mazda6 and 187 hp/186 lb-ft in the CX-5. The numbers also differ from the Skyactiv-D diesel, which makes around 173 hp and 310 lb-ft in other markets where its currently sold. But before you wonder why it's so much less powerful than the new turbocharged Skyactiv-G 2.5T that'll be out soon in the Mazda6, remember this: The Skyactiv-X engine is really intended to beat the weakling 2.0's fuel economy numbers (28 city, 38 highway) by as much as 30 percent, while seriously exceeding its power output of 155 hp and 150 lb-ft. In short, it aims to crush the 2.0 liter's economy with 2.5-liter power. And it does so with a pleasing torque curve, which couldn't be more different from the peaky downsized turbo gas engines competitors use. Now, it's not as steep a torque curve as a modern turbodiesel, but it also doesn't run out of breath as early. There's unusual grunt all the way to redline, indicated at just shy of 6,000 rpm (where the true redline will be isn't clear at this point). While there will be a small electric motor to enable start-stop functionality on the production version of this engine, it's disabled in these prototypes, so all we're actually feeling is the extra churn enabled by the compression-ignition scheme. 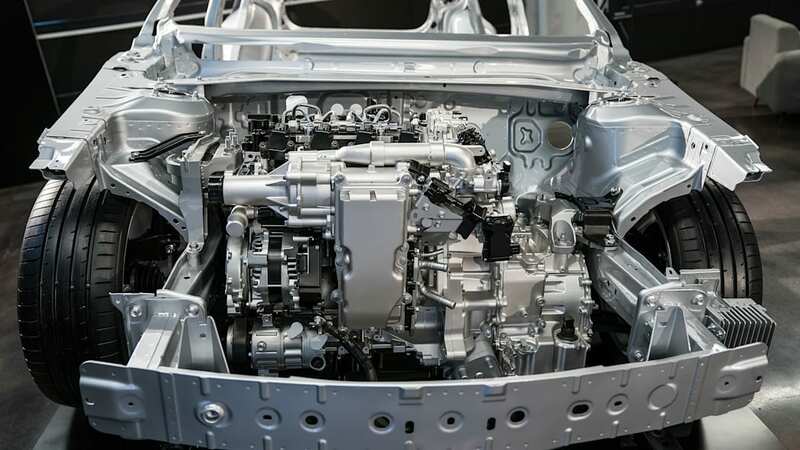 That extra torque also lets Mazda get away with a shorter drive ratio and six-speed transmissions (both manual and automatic were available to test) without sacrificing economy, since the efficient operating range of the engine is so broad. That means less gears to run through when downchanging, less hunting in the automatic, and less complexity. 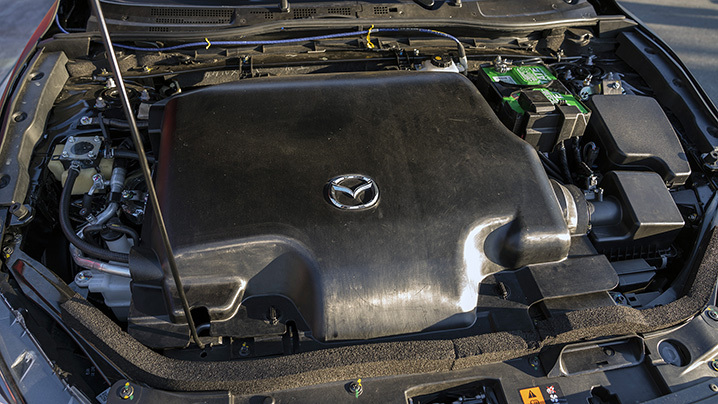 The engine will turn about 1,000 more revs at 60 mph than a comparable Skyactiv-G, which also offers better response. Really hammer on it at full load and it'll switch to spark ignition, seamlessly. It's only a tablet running on the dashboard that gives away which combustion type is happening, and in normal driving it's almost always in SPCCI mode. Snap off the throttle or back onto it quickly, and there's loud and obvious clatter, the most obvious sign that something's unusual. That clatter is not supposed to be there. The Mazda engineer riding along tells us that these abrupt throttle position changes are very hard to tune for, that some preignition happens in these situations where the engine can't react quickly enough to the changed circumstances, and also that the company intends to tune these interludes out completely for production. 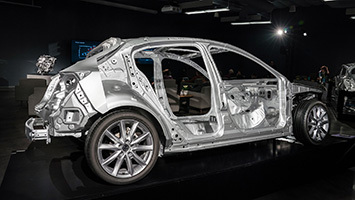 That's going to be essential from an NVH (noise, vibration and harshness) standpoint, in our opinion, because the clatter is loud and jarring — it could certainly hinder broad acceptance. And it's coming through a massive amount of sound deadening. Mazda refers to it as "encapsulation" — from a secondary "hood" coated with sound deadening hiding the engine from view to panels covering the oil pan and block. 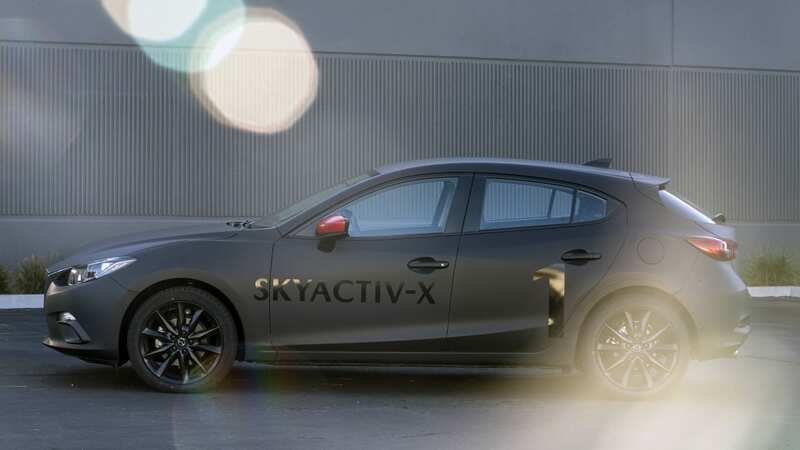 Essentially, the Skyactiv-X makes nasty sounds even when working ideally, and Mazda has to add some material to mask it. The price of innovation, it seems. Not that most direct-injection gasoline engines are very pleasant to listen to, either. The issues do seem, objectively, to be manageable with tuning. The handoff from conventional to compression ignition happens without the stumbling that plagued other companies' attempts to master the art. Underneath the rough edges is an engine that behaves like a Skyactiv-G that's been secretly working out a bit, rather than a diesel engine converted with dark alchemy to run on gas. 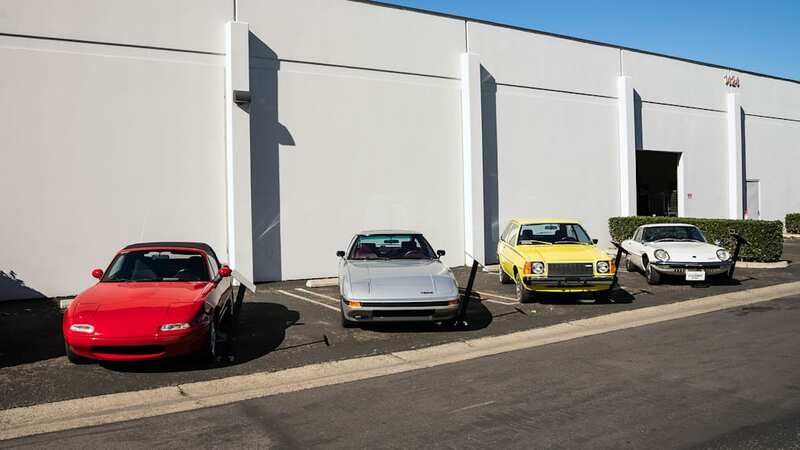 And there's more to these prototypes than just the engine. Were it just a regular Mazda3 with a new engine, it wouldn't need the Frankenstein panel surgery it got. But it's actually more of a next-generation Mazda3 underneath, running a seventh generation of a platform that's been evolving for a while. Think all new, but not completely reimagined. 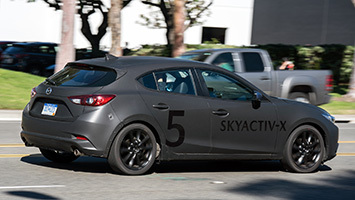 Major dimensions seem basically unchanged; the Skyactiv-X would likely fit into a sixth-generation car. The changes seem more like refinements. 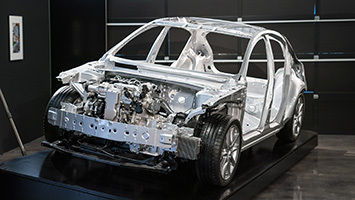 Coleman described how various suspension compromises resulted in undesirable lateral motions over certain types of bumps. We watched a video of a driver's head, in slow motion, rocking back and forth. Changes to the bushings turned more of that lateral motion into vertical motion, which humans tolerate better. 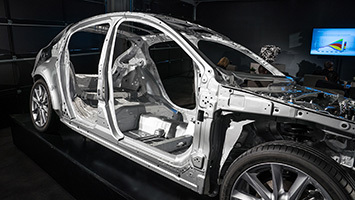 That means Mazda can stiffen the struts up slightly compared to the current generation car without punishing the occupants, but soften the sidewalls of the tires to get the most out of their vibration absorption and damping properties. Likewise, unseemly vibrations haven't been attacked with more heavy sound deadening, but rather with careful application of a damping adhesive between certain places in the unibody. The idea is to make the sounds less disagreeable rather than try to crowd them out entirely. 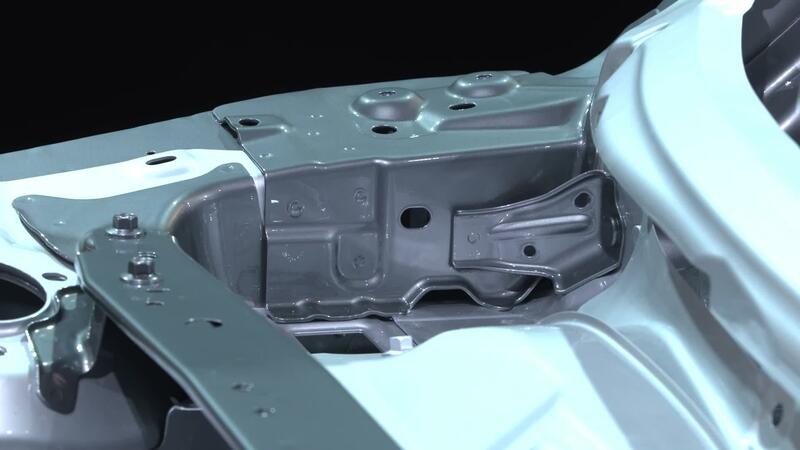 There's also more chassis stiffness overall, with added reinforcements that spread force inputs better throughout the structure. 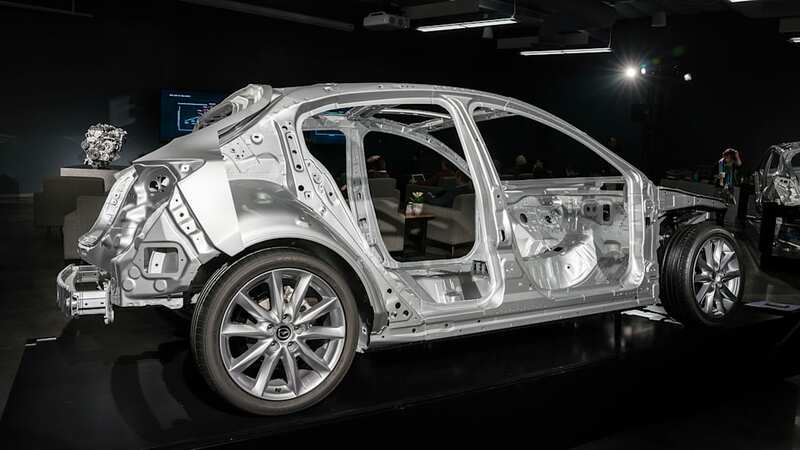 Pair the suspension, chassis, and NVH improvements with some improved seat materials, and Mazda promises the next-generation Skyactiv cars will be less fatiguing and more fun. On the road, the differences were extremely subtle, and perhaps it'd take a long roadtrip to fully reap the benefits. 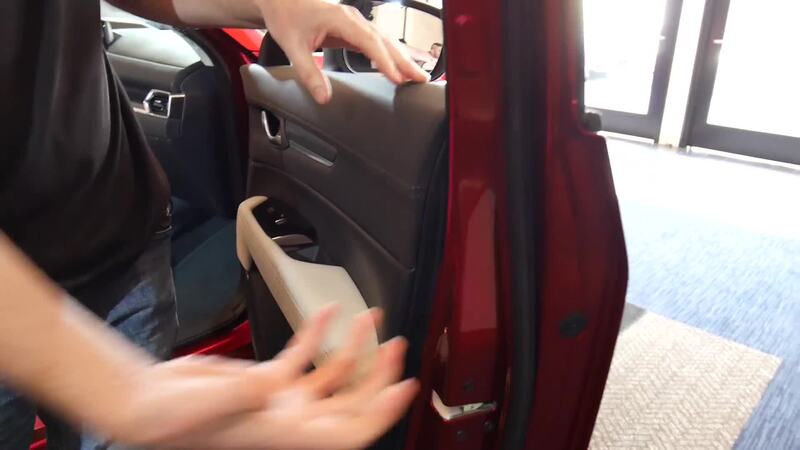 The suspension, however, felt stiff — a bit more than a typical Mazda3, which is exactly what we were told to expect. It didn't feel overly stiff; there was no judder or crashing over imperfections, so the new suspension geometry seems to do its job well. 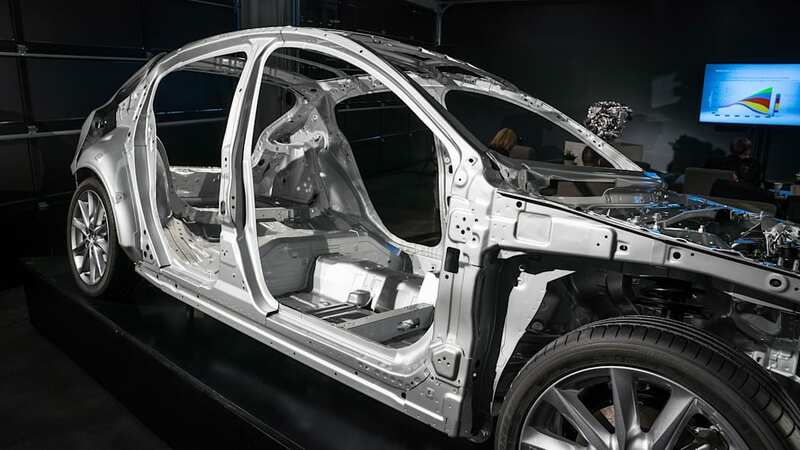 It'll take a winding road to fully evaluate the new chassis' handling. Despite refinements all around and a wildly unconventional engine, the takeaway here is that it all feels like standard Mazda stuff. 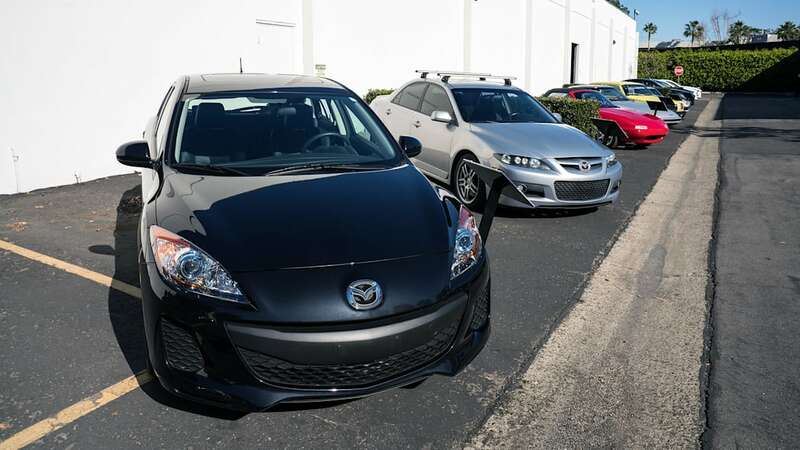 Eliminate the clatter and rip off all the gaffers' tape, and it's almost assured that a Mazda3 owner could be convinced it was a revised 2.5-liter engine in a next model year 3. 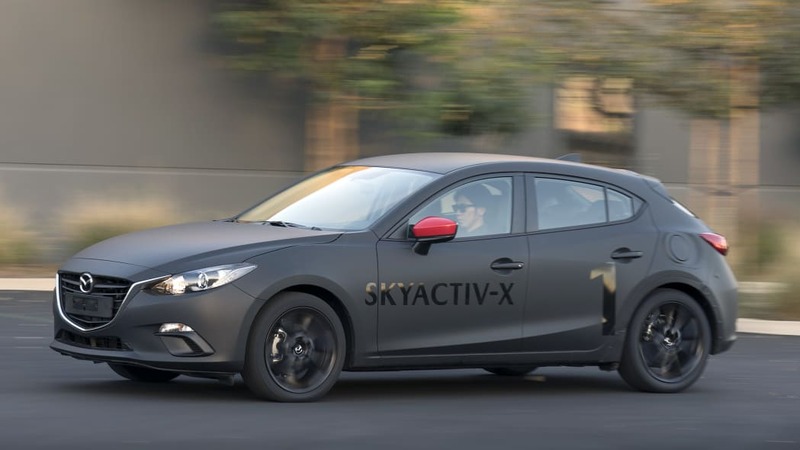 Final tuning will polish the Skyactiv-X's attributes, which are already present if not blindingly obvious to a casual observer. So too will the improvements to the seats and suspension. That it feels evolutionary rather than revolutionary is a compliment to the integration of this nascent technology in an excellent package. Barring hiccups, we'll see this engine in a production car in late 2019. It's way too early for fuel consumption numbers, but expect a 20-30 percent improvement over the current Skyactiv-G 2.0-liter engine. Depending on its cost, that will definitely get some consumers' attention. And if fuel prices go up, it might spark a frenzy. Either way, no one will be able to ignore Mazda's new engine. The only question is, will anyone buy one?